Deep sleep is a beautyful gift from Nature, which everyone should be able to enjoy. The sleep in which you are totally aware and you become integrated in body, mind and soul is known as "Yoga Nidra". Yoga Nidra is a healing process. With relaxation and a proper sleep, the energy is restored, and the body and mind are rested and refreshed. During Yoga Nidra, the body remains in a relaxed state in Shavasana, while the awareness is consciously focussed within. Yoga Nidra also offers deep changes in mental programs and access to the transcendental astral world of existence. Yoga Nidra is the easyest meditation technique that leads you to creativity and prosperity, with integration complete satisfaction. Promotes relaxation, sound sleep and a complete healing process. 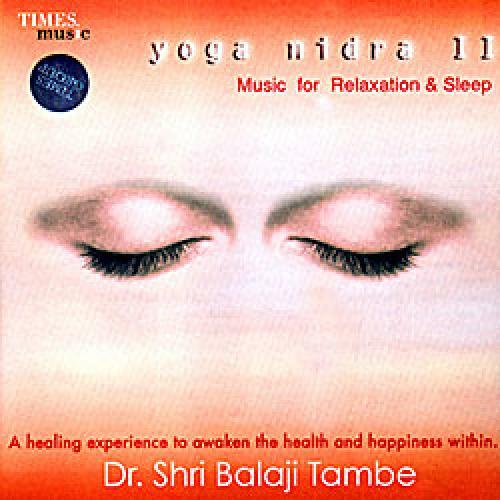 The commentary and music on the CD's offer a guided visualization for beautyful experience of relaxation, inner peace and Yoga Nidra sleep. Composition, vocals and commentary: Vaidya Shri Balaji Tamb?